Jeff is a four year old Greyhound. He came to us after finishing racing a few months ago and has been in a foster home since Mid December. Jeff has settled into home life very well, after a few toilet accidents initially, he has got the hang of where to toilet and can be left for a few hours whilst his fosterers are at work , he's quite happy just to snooze. Jeff has learnt to play with toys, he likes to bring you a toy and drop it for you to play along too. 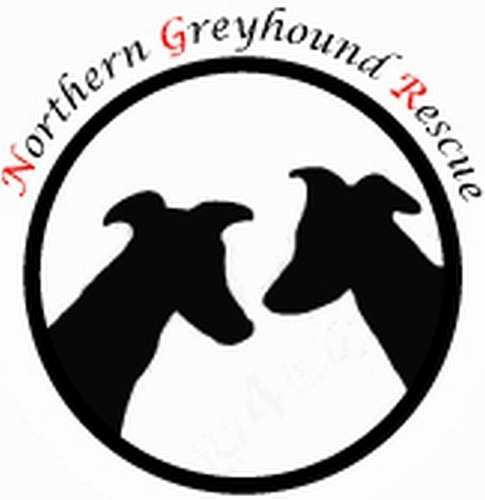 He is in foster currently with another Greyhound female, but he would be okay to live as only Hound with plenty of love or with another Greyhound female. Jeff cannot live with cats. He is a very affectionate little chap and loves nothing more than to be curled up on the sofa with people , he leans into people for a fuss and is a special little chap, everyone tends to love Jeff when they meet him. Jeff is another of our boys who is going to be a special friend for somebody, he has oodles of love to give and is a gentleman but can also be a scamp too, he's super.